Here we have tried to assemble and maintain links to sites we think you’ll find useful and/or interesting. Click the heading names to go to that page or use the sub menus above to get to any of these pages to see the links. 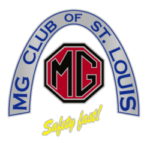 This page provides links to various businesses and individuals that can provide parts and or services for your MG.
Go this this page to find links to clubs and organizations that support MG at a national level. Sites that have some useful MG information or content. If you are on this site then you probably like British things other than just cars. So this page provides so links to things with a British connection/theme. A collection of links to some insurance companies that specialize in collector car coverage. The MG Club of St. Louis does not endorse or recommend any of these entities we’re simply providing informational links. As with using any business or service, please do your own due diligence and reference checking. Links to videos we hope you will enjoy. Links to various MG and classic car publications. Looking for the site of various Regional Car clubs? This is the page that you need.